Nokia, once the world's largest mobile phone company, has posted a record £323m loss in the three months to the end of June, following a 25 per cent drop in handset sales. Despite recording a profit of 227m euros last year and receiving a one-off€430m payment from Apple following a legal dispute, the Finnish phone maker has seen a year-on-year decline in revenues, leading to the corporation announcing in April that it will be laying off over 4,000 members of its global workforce. In a further blow, recent figures by technology research firm Gartner showed Nokia's worldwide market share of mobile devices has dropped to the lowest level since 1997. Nokia's CEO Stephen Elop, whoearlier this year was caught up in a media storm when he announced in an email to colleagues that Nokia was standing on a "burning platform", said in a statement: "The challenges we are facing during our strategic transformation manifested in a greater than expected way in Q2 2011. However, even within the quarter, I believe our actions to mitigate the impact of these challenges have started to have a positive impact on the underlying health of our business. "Most importantly, we are making better-than-expected progress toward our strategic goals,"thestatement read. There are many differing factors to blame for Nokia's downfall, but many claim that Symbian, the company's troubled operating system, has contributed massively. Since launching in 2010,Symbian has failed to match thesame levels ofsuccess recorded by Android and Apple's iOS mobile operating systems. 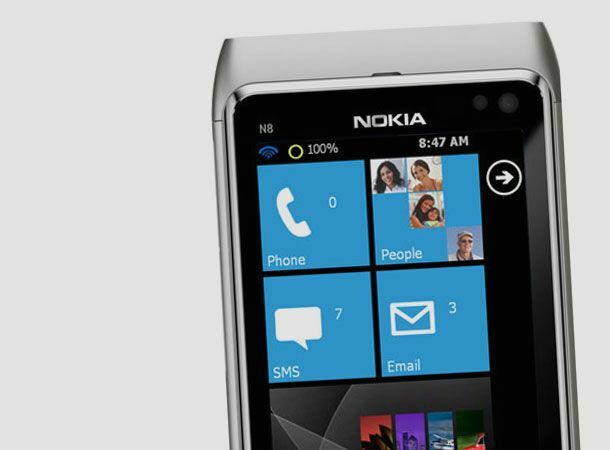 As such, Nokia is now pinning all its hopes on its upcoming partnership with Microsoft and the Windows Phone 7 platform. The first Nokia handset baring Windows innards should land before Christmas, but will it be in time to save the once king of mobiles? Let us know on the T3 Twitter feed.